Union Bank of the Philippines (UnionBank) has launched the New EON, a new digital banking platform (a revamped version of the original EON, created at the start of the millennium). The mobile biometric authentication tech is provided by Daon. 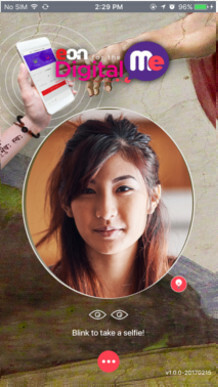 Daon’s IdentityX platform enables EON customers to log in with a “selfie”. Paolo Baltao, EON’s head advocate, says the vendor was chosen following an “extensive research”. EON uses fingerprint and face authentication, with plans to enable additional biometrics, e.g. voice recognition, in due course. EON’s original focus was on online shopping, but over the years the functionality has expanded. New EON is built around a customer’s broader “digital life” and is now “a community”. “New EON for the Digital ME,” states UnionBank. Earlier this year, Daon helped BNP Paribas Wealth Management to launch a new biometric authentication product, myBioPass. The bank’s customers can log into their accounts with a “selfie” and authorise transactions by fingerprint and voice recognition. The bank says it is the first in Europe to put all three biometric features together. Last year, Nequi, a financial mobile banking service from Bancolombia, has become the first in Colombia to deploy mobile biometrics for authentication – with tech provided by Daon. IdentityX is also used by a new mobile bank in Brazil, Neon. Barclays plans to offer corporate banking users a new security services based on Hitachi’s Finger Vein Authentication Technology from early next year and is considering introducing it to branches for consumers. HSBC has appointed a technology advisory board of top-level specialists from around the globe as the banking giant is keen to capitalise on opportunities in artificial intelligence (AI), biometrics, blockchain and data science, combat cybercrime and leverage its global infrastructure. BNP Paribas Wealth Management has unveiled its new Client Experience venture co-created with customers and fintech firms. The initiative focuses on digital solutions as the bank is keen to “create a new wealth management experience”. Bank will use Daon's IdentityX platform to develop new authentication solutions. Philippines-based BDO Unibank has signed a contract with its long-standing tech provider Fiserv for managed services support of the bank’s IT initiatives.